Do you remember the thrill of finding your first ladybird? We are looking for enthusiastic and energetic individuals with a passion for helping children connect to nature to join our dynamic Schools Outreach programme. You’ll be encouraging care for wildlife and the environment by providing children with direct experience of the bugs, plants, and habitats in their school grounds. Help us inspire the next generation to save nature! Following a period of shadowing the Schools Outreach Officer we’ll ask you to take the lead on delivering our hands-on, pre-designed workshops with classes of primary school children and their teachers. “Wow, this was the most fun ever!” is something you will hear a lot in this role. Plenty of opportunities exist to share your knowledge and experience, and through training and mentoring, you’ll develop your confidence, ability to work with children, and foster your unique delivery style. Enjoy being a valued member of the RSPB Education Team as you personally inspire thousands of children to help protect the natural world. We welcome volunteers from all London boroughs and all walks of life. Before starting in role we ask you to attend a full induction. We really want you up and running, inspiring children as soon as possible, If you can commit a bit more time in the first month or two, you could be leading your own sessions in no time! 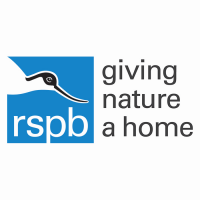 We reimburse any out-of-pocket travel expenses, provide you with a RSPB uniform and name badge. With expert mentoring along the way, volunteering with Europe’s largest conservation charity will boost your CV – we’ll provide you with a reference.